Today, mobile devices have become the indispensable part of our lives. A wide variety of services and tasks including banking, advertising, online payments, shopping and much more is accomplished with the help of mobile. These devices have become the soul of number of businesses. With the more mobile device appearance in the market and new mobile OS’ the scope of mobile app development is increasing. Now, the question arises about the profitability of this development. If we look at the facts and figures about the paid and free applications then we can have a glimpse on some reports. As per the Distimo reports that is a famous application store found out that only in December top 300 free applications generated over 3 million downloads, ten times more than the paid ones. Mobile application development is defined as the set of varied processes and procedures engaged in writing software for small, wireless computing devices including smart phones or tablets. The process of developing mobile applications is considered the tricky job as one has to go along with the certain Smartphone or OS for the development procedure. At the time of cross-platform formatting, the task of creating compatibility for multiple devices and OS’ is becomes more difficult. Applications for Single and Cross-Platforms: In terms of handling, single platform applications are rated better but able to work certain platform like an iPhone application. Formatting of apps for cross-platforms is complex one as selection of accurate platforms and their implementation is really challenging. While, with the help of this method, you are sure to increase the access of your application among more and more users. Evaluation of the Cost and Profit of Mobile App Development: Any standard pricing scheme has not been set for designing, development and implementation of a qualitative mobile application. The profit aspect also needs to be kept in mind as cost of development should be managed in such a manner that it is less than your profit. Free App is Stated as a Good Option to be Used in Mobile Advertising: Mobile advertising is gaining its popularity day by day as it is very convenient to read ads as a text on a mobile phone. As per the predictions, mobile advertising is expected to hit $5.4 billion by 2015. 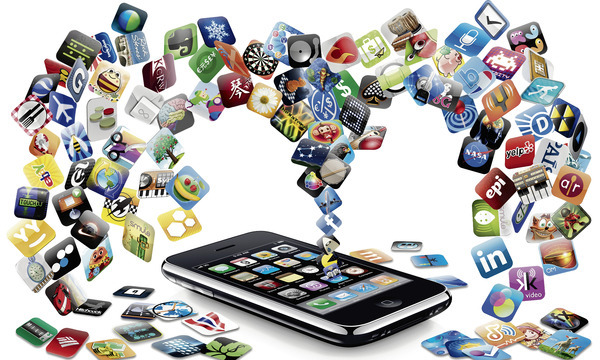 So, creating applications used in mobile advertising is an alluring deal for developers. More Clicks Can be Generated with Games and Other Entertainment Apps: 300,000 iOS apps and the 200,000 Android applications fall under various categories including social, entertainment, games, etc have appeared with wonderful results. Thus, creating mobile applications for these areas is a deal of gain. Mobile Commerce: Other than advertising, mobile app development is helping mobile commerce in varied areas. More and more advanced devices mobile devices are appearing in the market, due to which it has become easier to avail mobile ticketing, payment of bills and many other services. Thus, evaluating the results from Mobile Application Development, it is easy to predict that scope of mobile app development in terms of phone, gaming, web and other areas are going to do blast in coming years. In order to get desired success within stipulated time, you can hire Mobile App Developer from a renowned firm. Nice blog. Very useful information has been conveyed in this article. Developers have worked really hard in the provision of unlimited apps, still I think that mobile app development price should not carry a hefty-price tag. So that all of us can afford to make a mobile app from software houses.